Killzone 2 is a tactical, first-person shooter carrying straight on from the first game. The storyline is simple. After defending the planet against the evil Helghan, the ISA (the good guys) launches an assault back on their own planet which is where the whole game is based. Back in 2005, a trailer was shown at E3 which blew everyone away. It was a trailer for Killzone 2 that showed possibly the best graphics in gaming history. The game trailer looked like something from full-length CG movie being played in real time. Killzone 2 was one of the most hyped games on the PS3 before the console was even released. Unfortunately, it was later revealed that all of the footage of PS3 games at E3 2005 was ‘running off video’, which was done to PS3 spec. Even though the game hasn’t lived up to the visuals in the 2005 trailer, it’s not far from it as the first noticeable thing with Killzone 2 is its graphics. The graphics are astonishing both artistically and technically. As you play through the game the visuals just really add to the atmosphere and the pace of the game. The environments are all urban buildings with brilliant textures. The lighting is just about perfect and as you progress through the game you can’t help but further appreciate the amount of work that has been put into the visuals alone. The animations are by far the best seen in a first-person shooter as you see people roll, dive, duck in and out of cover smoothly. The A.I is very intelligent as enemies dive for cover and back each other up making the game harder for the player. Luckily the team you lead also have good A.I as they always cover for you and attack enemies that you haven’t discovered yet. 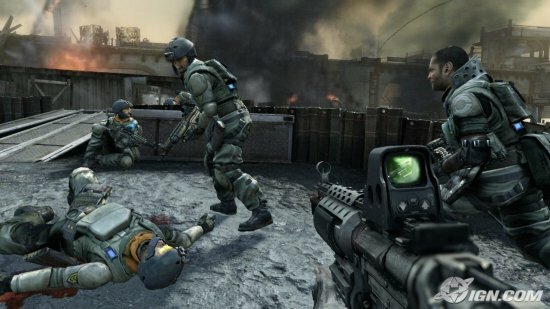 The gameplay is like any other shooter out there (such as Call of Duty: World at War) with a few extra tweaks. Killzone 2 relies, to a point, on a cover system (like in Gears of War). This is when you hide behind a wall or object and you jump out for a quick second to shoot, blow up anybody in sight while quickly getting back into cover. This is very useful as it is always jam-packed full of enemy soldiers. The game’s pace always changes, from an open battlefield, that feels as if you’re in an open war to an ambush where you get to play much more tactically. There are also other gameplay types that come into play like driving a tank across the battlefield to holding a post on a turret. The game always changes keeping the player on their toes. Multiplayer is brilliant. 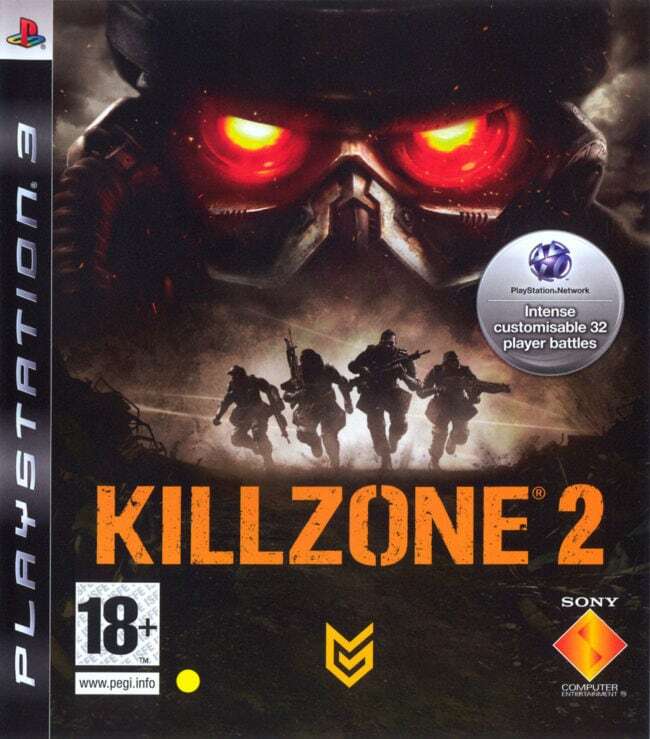 Killzone 2 offers 32 players online and if you haven’t got enough players to fill in the slots you can add bots which have very good A.I. The multiplayer is very rewarding as it gets you to experience points which then lead onto unlocking new weapons and items which keeps you wanting for more and means you keep on playing. The criticism of the game is its lack of co-op. The whole game is played with a team that all have their own roles which is unfortunate as playing with a friend would have been a great addition to the game. In conclusion, Killzone 2 is a very good game. It’s just unfortunate that the amount of hype this game has been building up for the past few years may not live up to most players. This is actually unfair for a game that’s better than most on the shelves.